If you are planning the perfect self-catering vacation or a short break then the West Country is a wonderful destination, full of dramatic coastline, epic English countryside, historic architecture, and seaside resorts. There are also numerous things to explore and see and hopefully our 'things to see and do' pages have helped you decide that you will never be bored in the West Country wherever you choose to stay. If you are looking for a destination in the countryside for a rural retreat cottage break, see www.countrycottagesonline.com/Rural_Retreats_and_Remote_Cottages.htm which will keep the whole family entertained then the West country is the place for you, with plenty of history and heritage sites, family attractions and amazing outdoor activities to explore there is something for everyone, at any age! Nestled into the countryside in quaint towns and villages you can enjoy the peace and quiet of the country and leave your busy everyday life behind. Admire the sea view from your cottage, log cabin, chalet or manor house, looking out on the amazing coastline, and contemplate which wonderful activities and attractions your going to explore today. Done at your own pace and with the fantastic thought that you will have a lovely comfortable homely accommodation to return to. 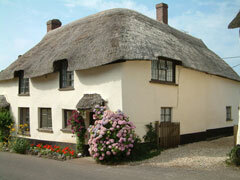 For couples looking for a romantic retreat the West country is also a admirable choice of destination. Stunning views that will take your partners breath away, relaxing walk ways and cycle paths, and quiet countryside await you. You can spend some time exploring this beautiful part of England together and then cosy up in a comfortable cottage, chill out and snuggle up in front of an open fire. Dog owners are very well catered for in the West Country. Pet-friendly holiday cottages are available to rent and there are plenty of dogs welcome places to visit. What type of cottage would you choose? Easter arrives in April along with 2 weeks of school holidays. Demand for self-catering cottages inevitably shoots up as people plan to enjoy the spring weather, Easter egg hunts in diverse places, spring flowers and some early sunshine. Easter is a good time for walking and cycling breaks. It is far too early for the beach although coastal walking can be fun at any time of year. As long as visitors are wrapped up warm and keep active, a fabulous outdoor holiday will be a joy in the West Country. Late April and early May is 'bluebell time' in the West Country. 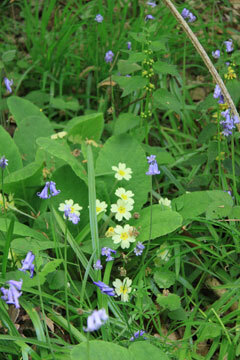 That amazing dense carpet of perfumed blue haze swathes woodland and shady areas. It is almost and annual celebration of spring and an occasion not be missed.